Corporal David Perinchief, India Company. Kunar Province, Afghanistan. December 2004. Heroic achievement in the superior performance of his duties while serving as Squad Leader, 2d Platoon, Company I, 3d Battalion, 3d Marines, Regimental Combat Team-7, I Marine Expeditionary Force Forward, from March to September 2006, in support of Operation IRAQI FREEDOM. During this period, Sergeant Perinchief effectively led his squad with professionalism and tactical expertise on over 200 combat missions. 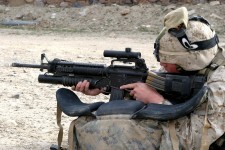 On 23 July 2006, Sergeant Perinchief displayed exceptional bravery and leadership in the face of enemy fire as he maneuvered his squad against insurgent forces in order to close with and destroy the enemy. Skillfully positioning his Marines, coordinating with higher headquarters for support, and deconflicting fires with an adjacent squad, Sergeant Perinchief repelled the enemy attack and caused them to flee. He then directed and led his squad in pursuit of the fleeing enemy and captured one enemy combatant. 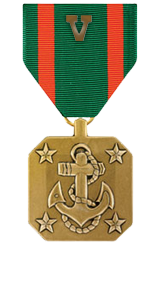 Sergeant Perinchief’s initiative, perseverance and total dedication to duty reflected credit upon him and were in keeping with the highest traditions of the Marine Corps and the United States Naval Service.